The world continues to witness technological reforms with the latest of it in the United Arab Emirates, Dubai specifically where specially designed robots have become part of the Police force. RoboCop – a name the robot designers adopted is derived from a movie in 1987 which featured robots with different life roles. 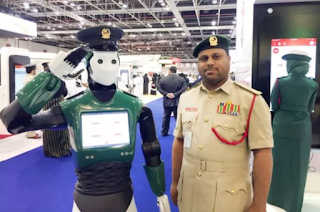 RoboCop was unveiled on Tuesday, May 23rd 2017 at the Gulf Information Security Expo and Conference (GISEC) at Dubai World Trade Center. and assumed duties on the streets of Dubai on Wednesday May 24th. 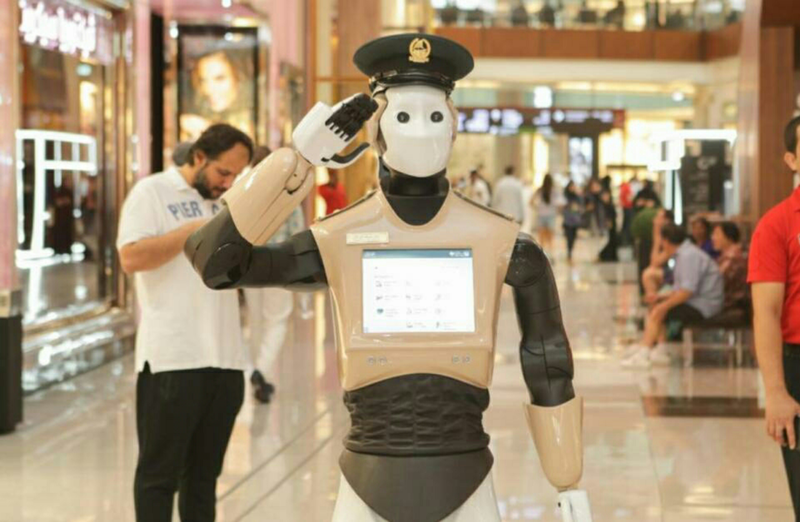 Designed by Spanish firm PAL robotics, RoboCop stands at an impressive 5ft 5in and weighs 100kg.RoboCop speak six different languages simultaneously. Further features of the humanoid robot is a touch screen on its chest that allows people to report crimes and pay fines. The interesting about this is that it can work in any industry – it doesn’t matter if it’s an insurance company or banking hall, as long as the public passes there, you can use it. Google and IBM’s artificial intelligence technology has been employed to enable the robot recognize faces, identify criminals and a special ability to detect a person’s emotion such as fear, sadness or happiness. Students, what are your thoughts concerning this latest innovation?